Terrorist groups in Syria might use chemical weapons against civilians and the army in Aleppo in order to pin the blame for the atrocities on Damascus and further undermine the crumbling peace process in the war-torn country, the Russian Defense Ministry said. “It became known that terrorist groups are preparing provocative attacks with chemical weapons on Syrian army positions and residential areas in the east part of Aleppo to accuse government forces [of the attacks],” said Lt. Gen. Viktor Poznikhir, the first deputy chief of the Main Operational Directorate of the Russian General Staff. The warning echoed Syrian UN envoy Bashar Ja’afari’s proclamations earlier this week, when he told the UN Security Council that militants from the hardline Ahrar Al-Sham Islamist group are planning to use white phosphorus in an attack on civilians in order to later blame it on Syrian armed forces. “I have information that Ahrar Al-Sham terrorists intend to mount attacks on the civilian population using white phosphorus for the sake of fabricating accusations against the Syrian state and its army,” the diplomat said as cited by TASS. Meanwhile noting the increased activity of extremists in Aleppo, the Russian general said that jihadists continue to undermine the cessation of hostilities. “We were ready to prolong the ceasefire regime consistently, striving to extend it indefinitely. At the same time the cessation of hostilities was derailed by militants. Not only did the intensity of shelling of government forces positions fail to subside, but the armed groups’ activity increased,” Poznikhir said. At least one civilian was killed and another 16 others injured from rocket attacks on al- Aziziyeh and al-Sayyed Ali, Moghambo and Zaharaa neighborhoods in Aleppo city, Sana reported on Wednesday. 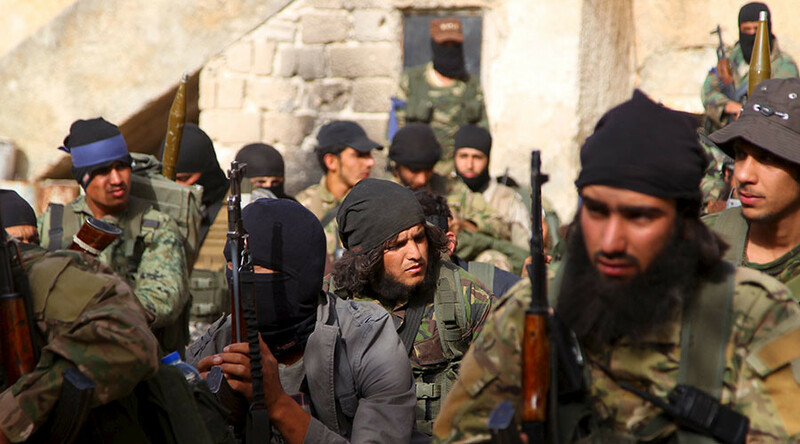 Violence, however, was not limited to Aleppo city with terrorists resuming their offensive in Hama and Aleppo provinces, escalating the intensity of conflict in those regions. In Hama, the Syrian army managed to hold its ground against terrorist attacks pushing back the jihadist units of Jaish al-Fatah, Jund al-Aqsa and Ahrar al-Cham from Karah and al-Zaghba villages in Hama countryside. More than 70 terrorists were killed, Syrian news agency Sana reported. The Syrian air force also managed to destroy a number of tanks and machinegun-equipped vehicles. In Aleppo province, Syrian aircraft targeted terrorists in the villages of Khan Touman, Maarata, Kafr Hamra, Hreitan and Babis. The situation in Syria continues to deteriorate since the US bombed the Syrian army positions earlier this month. Aleppo, in particular, is seeing renewed fighting after the Syrian army declared an end to the ceasefire on Friday. The fighting in Syria has also increased as Russia and US fail to find common diplomatic ground. 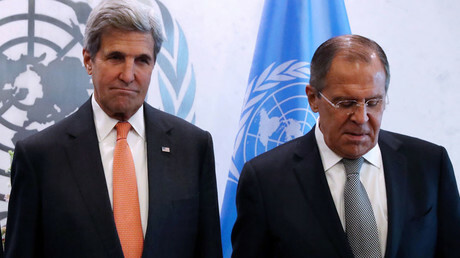 On Wednesday, US State Secretary John Kerry told his counterpart, Sergey Lavrov, that the US holds Russia responsible for the violence in Aleppo and is threatening to break off all cooperation with Moscow in Syria. Russia in its turn is insisting that the US has failed to live up to its obligation to separate US-backed opposition from terrorists. On Wednesday, Syrian state media reported that US-led coalition in Syria has targeted Syrian infrastructure “with the aim to deliberately inflict damage on sites and facilities in the country,” destroying two main bridges on the Euphrates River in the countryside of the eastern Deir Ezzor province.